‘Tis the season to put out the pumpkins, deck the halls with boughs of cobwebs and stir your cauldron pot, because Halloween is in our midst. In the real world, Halloween is when kids dress up in costumes and beg for candy. 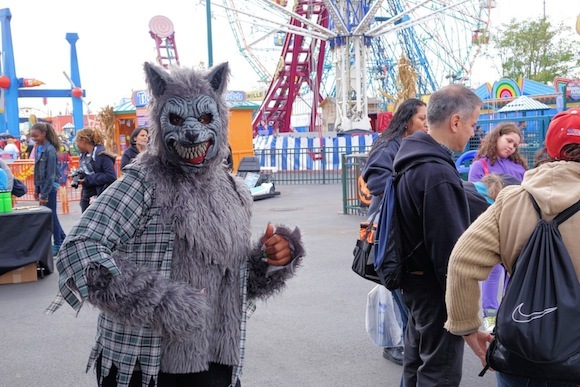 In Brooklyn World, Halloween is the occasion to party and no other boroughs can say anything about it. So don your creepiest outfits and head out to the hottest happenings in BK. No mere mortal can resist the evil of the thriller — or roller disco. Prepare to do the monster mash on roller skates at the Lefrak Center in Prospect Park. 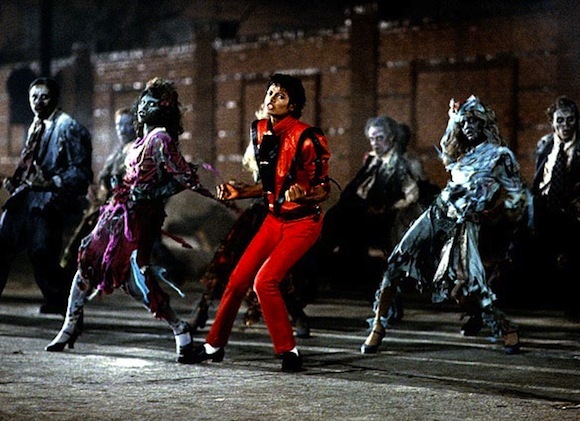 Dress up in your costumes and pay tribute to the late king of pop’s greatest music video and other ghoulish pop songs. Happy Oct-D’oh-ber! 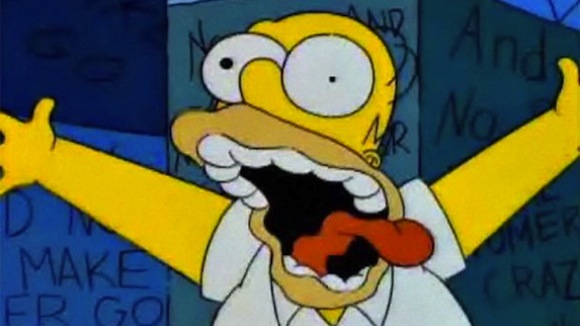 The Simpsons Club is is putting aside its usual Monday screening schedule to play three Treehouse of Horror episodes per night during the entire month of October. Treehouse of Horror was always a good excuse for the writers to go way further (and darker) than they normally would on a typical Simpsons episode, but don’t have a cow, man, it’s just a cartoon! John Carpenter’s 1978 horror classic had many teenagers watching their backs for stalker cars slowly following their steps. Nitehawk invites you to revisit this gem and remember Jamie Lee Curtis before the Activia commercials. Learn about some of the most fascinating dearly departed LGBT Brooklynites at the Gay Graves Tour of Green-Wood Cemetery. For three hours, discover some of Brooklyn’s most intriguing deceased gay icons as well as a few unsung heroes. And later in the month, the cemetery is also hosting “A Spirited Stroll Through Green-Wood” which will open up its Catacombs, a unique treat for fans of subterranean exploration by torchlight. Historian Jeff Richman is giving a spooky expedition of Brooklyn’s most famous residents’ final resting grounds. Williamsburg’s most competitive pumpkin carving contest is back again this year with a chance to prove your talent at artistic knivery. Carve the spookiest design prior to the event and enter it between 6:30pm and 7pm for a chance to win the coveted title and be lord of the pumpkins. Protip: It’s recommended to coat your carved pumpkin with Vaseline to keep it looking fresh for the judges. The zoo always feels spookier around Halloween time and can be enjoyed by both families and 20-30 something costumed rabble-rousers. Zookeepers invite you to watch baboons smash pumpkins (2:30pm) and dare you to take a walk through the zoo’s infamous haunted barn. It’s always amusing seeing pet owners dress their pets as Lady Gaga and other garish garb. 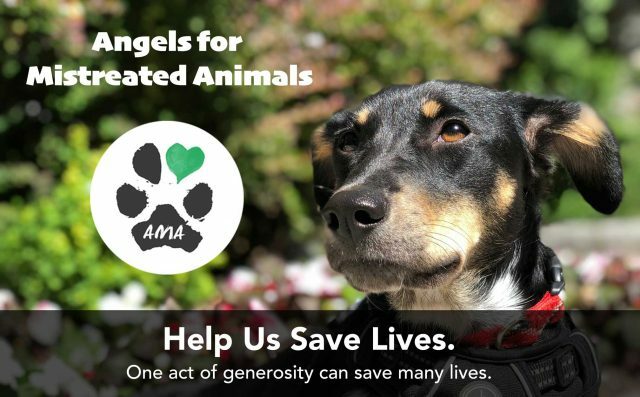 You can join in the fun and suit up your pooch in a creative ensemble (registration at 11am) for a chance to win prizes (and, of course, dog-owner cred). You can also enjoy the festivities on the sidelines and watch the barkers square off. Have you wondered if anyone will recognize your Grumpy Cat costume? 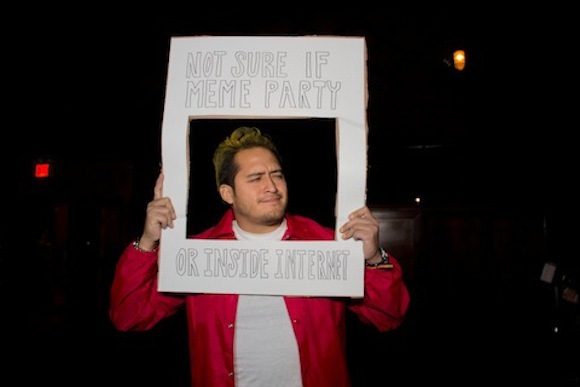 All bets are off at the HalloMEME Party at the Bell House on October 30th where you’re invited to dress as your favorite meme. Has anyone ever effectively constructed a wearable GIF? For the Brooklyn chamber music fan, nothing can beat a live performance of the 1922 German Expressionist Vampire film Nosferatu. Videology will host Tenth Intervention (Hajnal Pivnick, violin/Dorian Wallace, piano) as they serenade you during the screening of this silent horror movie classic. 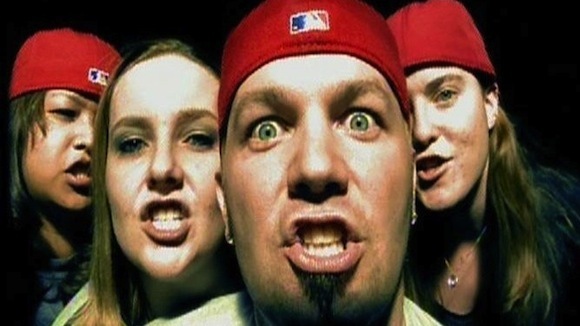 There’s nothing scarier than Fred Durst on Halloween and Spike Hill is featuring great local bands doing cover sets and drink specials. If you’re in a metal mood, enjoy live music with cover performances of Marilyn Manson, Limp Bizkit and Pantera. The sixth annual Zombie Prom is back from the dead and looking for fresh meat. 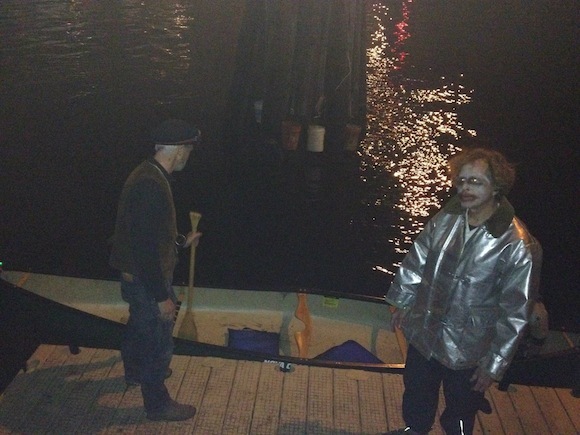 This time, organizers are hosting the event at Littlefield in Gowanus, where they hope the toxic fumes from the canal will enhance your corpse complexion. Come celebrate and dance the night away with the chance to win raffle prizes, treats and a costume contest that will award the king and queen of the ball. Several bands will be performing as well including The Hollows, Jumbo Brown and Corn Mo. Catch the movie that kicked off America’s obsession with brain eating zombies, for a throwback price of just $5 at Williamsburg’s Spectacle Theater. With any luck, when you come out of the theater, the dead will not have risen to walk the Earth. If they have, good luck! Usually the only thing you think of eating during Halloween is candy, but Battery Harris is pulling out a special menu of things like pumpkin-squash soup, minced meat pie and pumpkin creme brulee. If all you want is candy, you can just go trick or treating and then show up at 10pm for DJ Greg Poole. You’ve got a hell of a costume put together because it’s Halloween and it’s a Friday, so you may as well get rewarded for it. Passengr Bar will do that, giving out a $50 bar tab for the winner of their costume contest at their free Halloween party. Even if you don’t win the contest, you can still have fun, because there’ll be burlesque, DJs, go go dancers, a self-portrait photobooth and $5 Blue Point drafts. Go out and win that costume contest though, we believe in you. Is BAM haunted? It is a really old place… Don’t worry about that though, instead focus on grooving to hip-hop, Afrobeat, soul and more spun by DJ Reborn and DJ Idlemind, at this free dance party hosted by the E Street Band’s Everett Bradley.